Hanwha Fine Chemical Co., Ltd.
SUNGCHANG ENGINEERING & CONSTRUCTION CO.,LTD. S.H Leisure Tourist. Co., LTD.
Sun Brand Industrial Co., Ltd.
Dong Il Development Co., Ltd.
Dae Han Construction Co., Ltd.
Jeollanam-do provides support to strengthen companies’ capacities, sophisticate industrial structures, and diversify businesses for the sustainable growth and facilitation of three major industries, including petrochemistry, steel, and shipbuilding industries. Jeollanam-do is also a commercial hub in Northeast Asia and a gateway to the world. Gwangyang Port and Mokpo Port located on the course of major global arteries leading to the five seas and six continents. Jeollanam-do is directly linked to major cities in the world through Muan International Airport and will be emerging as a gateway to China, Russia, and Europe through Trans China Railway (TCR) and Trans-Siberian Railway (TSR) in the future. With our powerful search tools and marketing solutions, Kompass can help you better understand your marketplace and to generate leads as well as promote your company online towards a targeted audience. 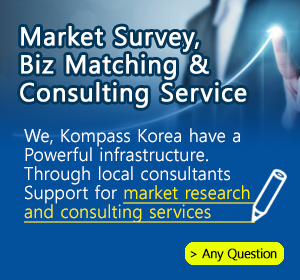 Find out the detail information about South Korean companies in Jeollanam-do which is registered in the Kompass B2B worldwide database.